We live in a world of ever-increasing work pressures, persistent over-stimulation and less than optimal nourishment for our bodies, minds and souls. If we look at life realistically, most of us are subjected to relatively constant stress, unless we make a conscious decision to live differently. 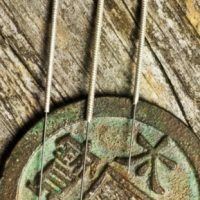 Reducing the anxiety of a mother with auricular acupuncture whose child is undergoing surgery, resulted in less anxiety in both the mother and the child. A new study shows acupuncture needles — carefully placed around the mother’s ear — can decrease her anxiety. When moms are less anxious, there’s less anxiety in children, experts say.